A stunning smile can be one of your best assets. It helps you look young and healthy and it conveys warmth and confidence. If you are unhappy with one or more aspects of your smile, a smile makeover at Montane Dental Care can help you achieve the beautiful, winning smile of your dreams. To learn more about smile makeovers at our state-of-the-art office in Fremont, please call 510-795-0444 to schedule a free initial consultation with our experienced cosmetic dentist Dr. Jorge Montane. We happily welcome patients from in and around Newark and Union City, California. A smile makeover is a customized cosmetic dental treatment that involves a combination of procedures designed to improve the appearance of your smile. Smile makeovers at Montane Dental Care are entirely collaborative. From the moment you sit down with Dr. Montane in your free initial consultation, he will work closely with you to understand your goals and develop an individualized treatment plan to help you achieve a stunning, photogenic smile. Your input plays a vital role in every step of the process. You will never feel pressured into any procedure and Dr. Montane will always explain all of your options and answer all of your questions so that you can make informed decisions about your treatment. Customize treatments for a smile makeover that is right for you! Enhancing your smile can dramatically refresh your entire appearance. While many of the specific treatments focus on improving the attractiveness of your teeth and gums, the results can have a profound impact on your overall facial appearance. We believe a beautiful smile is a healthy smile. If you are experiencing any oral health problems, such as gum disease, Dr. Montane may recommend general dental treatments to ensure your smile is not just bright and beautiful but strong and healthy as well. 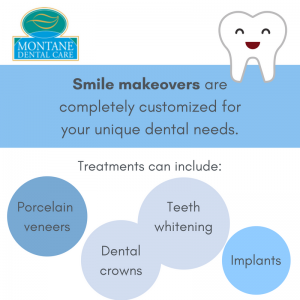 Why Choose Dr. Montane for Your Smile Makeover? With more than three decades of experience, Dr. Montane is skilled in artistic smile designs and at the leading edge of smile enhancement techniques and advanced technology. He strives to provide healthy, functional, beautiful, long-lasting smiles in a friendly and collaborative environment. Some dentists merely treat your routine dental hygiene needs. Patients who demand premium care choose Dr. Montane for his unwavering commitment to treating you as a patient, not just a set of teeth. He pairs an artistic eye with precise technical skills to bring health and harmony to your teeth, gums and jaw. You will also be able to see before and after photos generated with SNAP imaging software prior to your procedure to help you decide on the look you want. In addition to his extensive knowledge and medical skills, Dr. Montane has the compassion and techniques to guide even the most fearful or reluctant patients through the complete smile makeover process. He understands that many people deny themselves the gorgeous smiles of their dreams out of fear of a painful dental experience. Fondly referred to as “No Pain Montane” by his patients, Dr. Montane pays special attention to the comfort of every patient and strives to make each procedure as painless as possible. The procedures involved in a smile makeover vary widely and the treatment needed by one patient may not be the right treatments for you. The best way to determine how much you can expect to pay for your smile make over is to meet personally with Dr. Montane in a free initial consultation. During this initial meeting, he will discuss your goals, assess your oral condition, recommend a treatment plane, explain your options and provide you with a cost estimate. We understand that price can be a deciding factor when considering cosmetic dental treatment. In order to provide you with the most affordable smile makeover, we proudly offer a number of payment and financing options. You deserve the stunning smile and improved self-confidence that a smile makeover can bring. 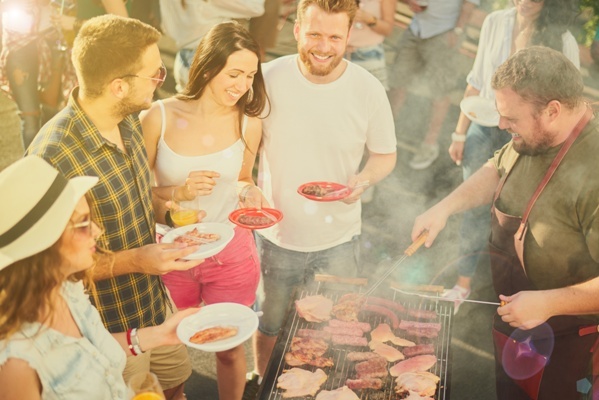 To learn more about the possibilities of your smile, please contact Montane Dental Care today online or at 510-795-0444 to schedule a free consultation. Our friendly Fremont office welcomes patients from Newark, Union City and other nearby areas.